Climate denial is rooted in greed, opportunism and ego. Opposing action for those reasons is a sin. Denying climate change, no matter what the evidence, has become a core Republican principle. And it’s worth trying to understand both how that happened and the sheer depravity involved in being a denialist at this point. Spot the projection. Believing climate change has become a core Labor-Democrat principle. >Wait, isn’t depravity too strong a term? Aren’t people allowed to disagree with conventional wisdom, even if that wisdom is supported by overwhelming scientific consensus? Yes, they are – as long as their arguments are made in good faith. But there are almost no good-faith climate-change deniers. And denying science for profit, political advantage or ego satisfaction is not OK; when failure to act on the science may have terrible consequences, denial is, as I said, depraved. As Mann explains, climate denial actually follows in the footsteps of earlier science denial, beginning with the long campaign by tobacco companies to confuse the public about the dangers of smoking. With the difference that doctors could predict which group was more likely to get cancer, while climate scientists can do 3,000 model runs that are 98% wrong. More projection of his own ideology — if you are a collectivist, climate scares are the top excuse to “collect”. What could be better. Pay up or I’ll wreck the weather? Storms a’ coming, give me your super (your 401k). Feed me or there’ll be floods? This game of extortion is good to go as long as we don’t get perfect weather forever. Exactly. It’s such a good game it’s been going on for thousands of years, but now the druids wear lab coats. As for the old smear that all prominent deniers are fossil funded, hello, where’s the evidence? Skeptics are the grassroots volunteers funded by mums and dads (thanks to all who keep me writing through donations here). Believers get 3,500 times as much (and even more since then). Who are we kidding, if skeptics got the kind of money believers get, tens of thousands of skeptics could attend two-week-long international junkets — and for the next 24 years in a row. Will the SMH do some research, interview some “prominent climate deniers” (in their unscientific namecalling jargon). Will they give me right of reply? Money is still the main answer: let’s talk about how many prominent climate believers are or were on the government-take — totally dependent on government grants, salaries, or subsidies. Many fossil fuel companies are also on the take, lobbied for the climate scare, and even the “evil” Exxon spent more funding believers than skeptics. Bank of America is spending $50 billion to save the world. Citigroup committed $100 billion to “climate change”. DeutscheBank built giant clocks of doom and wrote 50 page scientific reports. And the list goes on… in the end, climate change is potentially a $7 Trillion dollar money making venture for bankers. You can see why they might be interested. If you take environmental issues seriously, you look at the evidence, not for any excuse to call in Big Gov. That’s what a collectivist ideologue does. This is a fake national policy “debate” by character assassination. It might as well be neolithic witchcraft. How do we decide what generator to use in national energy grids? Obviously, use evidenceless smear, cast aspersions, do no research, and poke pins in a mythical anti-science denier doll. How many MegaWatts is that? Now that will work a treat. Imagine the reaction in France when Methane emissions targets are announced in accordance with the Paris Agreement. Subsidised farmers told to reduce their farm animal numbers. All of the above coming to Australia. DON’T upset the French Farmers…. Krugman just gets dumber by the day. He serves as a good cartoon character. So the kid who said the emperor has no clothes was doing so because of “greed, opportunism and ego”? There has been no actual global warming in the most reliable real world data for more than two decades, yet pCO2 has risen more than 10% in that time. Bruce – no no no, you unbelieving infidel sinner, you – it was that lovely fluffy save-the-planet-and-polar-bear-children Paris Agreement thingy which caused “no actual global warming” to occur this century. It caused the freezing snow in Tasmania yesterday. It caused the freezing snow blizzard which is hammering the South Island hills as I type. It also caused the massive high pressure over Siberia, where temps are hovering around -40˚C, which will soon push frigid air south to China where heavy snow is expected inland of Shanghai this weekend. “Ok… So we’re supposed to swallow a $240/gal tax on gasoline and spend $122 trillion to avoid 1.7 °C (3.2 minus 1.5) of warming over the next 80 years? Really? How can anyone even publish something like this and expect to be taken seriously? So my qualitative “feeling” it’s all worthless garbage is perfectly acceptable? I don’t even have to go quantitative like “99%” garbage? Love it!!! Must be a climate conference on somewhere? Yes, and I don’t suppose that any Greenie sees any irony in the decision by the Polish government to hold it in the “coal capital of Europe” and announce the start of a new coal mine in the weeks just before the start. ToorakBanker: The other day Bloomberg reported that half the world’s coal minds are unprofitable. Is there a glimmer of LNP conservative planning here?? They must know the chance of getting a HELE plant through parliament has Buckley’s chance so why do it if they expect to loose? So Scomo, if he is still there, is able to flog Labor saying they stopped his HELE plant! All realities aside, it’s the type of Machiavellian maneuver they need to start using. Do you think this is possible or is there another reason? The French are starting to revolt against the globalists and even the police are joining in the fight. French Police remove helmets to show solidarity with the people against Macron The fear now is the globalists will intensify their efforts to maintain the CAGW scam using other means. We booted out Turnbull. Unfortunately not only there are many of his ilk still left in the LNP but also Turnbull is still acting as though he is the leader and white anting the LNP to death. These globalists are the real evil. The globalists have a multitude of things at thier disposal to distract or punish when things are going bad – war, fabricated “terrorist” attack, financial upheaval, brutal suppression, news blackout, smearing the yellow hackets, organized mobs….take your pick. This will be interesting to watch – between Brexit, Trump and the yellow jackets, the globalists are in a vice right now. They just cant handle people saying “Non!”…….they are control freaks….. The trouble is they are implementing the globalist agenda on so many fronts, seizing sovereignty bit by bit, they will succeed one way or another. e.g. You have to laugh at Gove/May saying that the Brexit capitulation gives back control of our borders – just as they are about to sign the UN Migration Compact without any noticeable publicity. In the name of bringing order to the irregular migration chaos caused by the EU/UN, migration will essentially become a human right, discussing it will be a hate crime, and the media and internet will be controlled. All non-binding of course, to evade democratic oversight, until it’s embedded and irrevocable. Obviously Australia/USA/Hungary/Austria are not signing (currently). This Krugman thing is just another attempt to put climate change beyond discussion – The Science is Settled, The Debate is Won/Over – we’ve heard it all before. Macron has caved in and the yellow jackets are in the ascendency, but they will not settle for crumbs. Its important to keep in mind that this grass roots revolution has nothing to do with the left or right, its a people’s uprising over excessive green taxes. Won’t settle for crumbs.’They want the whole baguette’, is the best line I’ve seen for a while. Indeed the uprising is more than just left versus right. In fact the moderates in the LNP are now turning against Turnbull for his despicable acts over the past few days. It really is time for Turnbull to be evicted from the party in toto. Anything less is a sign of ignorance and/or stupidity by Morrison and the rest of the party. As for the uprising we need to be cautious. Political parties around the world could be hijacked by the extreme right in much the same way the left hijacked many conservative parties, such as the LNP. Indeed we live in interesting times and things I believe things are about to become even more interesting. UKIP has just been seen to move so far to the Right that Nigel Farage, who used to run it & secured the vote for Brexit, has resigned his membership. The populace is generally conservative in that they want to live with as little restrictions as possible and don’t like being disturbed by noisey ratbags nor those who want more money from them. Generally they put up with the major parties as they see little choice (or difference) but that support is dropping now with direct votes for them about 50%**. People are losing belief in ‘regular democracy’ and looking for alternatives (look in mirror for example) and that pushes them to parties not following the middle of the road. When the economy collapses then they will switch wholesale to anyone claiming to fix things e.g. Germany when in 1928 the NAZIs got 2.6% of the vote and 12 seats (down 2) to 1932 when they got 37.3% of the vote and 230 seats. The major parties are pushing policies that will result in a depression, so with records being broken for business closures and rising unemployment along with rising electricity bills (and others) the reaction will quite likely be to extremes. I cannot see the Greens gaining much from the turmoil because they are too closely aligned with the causes. Unfortunately the situation will probably result into the AntiFA becoming more violent as the Left try to wrest control. With luck The Australian Conservatives will be big gainers as despite the slurs of the ABC and the MSM they are democratic and non-violent. ** Allow for 5% informal and 5-8% non voting. I’m looking in the mirror and I see a centre-right conservative and I for one will be voting for the ACP. It’s not perfect but then of course no party ever is. Voters will vote in different ways due to many factors but one thing is for sure. Most don’t give a damn about what is really happening because they are busy doing other things and prefer to treat politics like a joke. Well if they treat it like a joke when they whine about it they should look in the mirror. if you want to get a high distinction in political science, you need to become dispassionate. The Coalition will win the next election because they’ll help fund Premier Gladys bullet train network and a promise to the other states to come on board. Cory should jump sides now, before its too late. The blame can only go to radical leftists, who are never happy and always want to push for more. The people in my village, preparing for the big push on Monday, want more than the 6 months delay they want all the green nonsense removing completely including the removal of the wind generators and the restoration and upgrading of the nuclear power plants. A little one in the south of France (Catalan region, we fly both the Catalan and French flag). We can be rather radical. A village meeting turned down the install of smart meters and the building of a wind farm not far from the village itself. What big push? I was admiring how the protests at least began centered on weekends tending to avoid work/school days. Its disappointing when left wing commentators still ask why did the Party sack Turnbull. They have been in consultation regularly, as Turnbull was on side with Rudd. He was always one of them, the green slime brigade, but the ginger group managed to boot him out and clear the air. Except he seems to be still running the show, and the air is thus, fetid. ! Turnbull has been exposed. He is on the side of Shorten on energy. Probably always has been. What more does Turnbull have to do before he is expelled from the LMP? Join the Greens? Come on Morrison wake up! You have an enemy within the LNP and it’s all now so clear it no longer can be ignored. Don’t take any crap from the master white-anter – hit back at him! He can have his opinion on where the party should go, but he is NOT either the leader of the party nor the sole provider of policy direction. Compare with Abbott – Tony quietly went to the back bench, kept trying to push internally for better policy, only makes statements to the media when asked, and always supports the duly selected PM (spills excepted – fair enough). Turnbull “Prat of the Year, FAILED”. Left his main run for “prime prat” just a bit too late. He surely would be in the running otherwise. MT and BS must have a private hotline even though they yelled abuse at each other across the floor of parliament. Take a look at what the CBC in Canada put out three days ago regarding the psychology behind the ‘deniers’. Two questions I have yet to have answered..
Q1. What do we “deny” about “climate change™” that has been scientifically proven? Q2. In what way has the global climate changed in the last 40 years that can be empirically and scientifically put down to human influence. We have seen over the last few days, that they (the local low-end AGW trolls), cannot even come up with any empirical evidence that CO2 has any influence on climate whatsoever. ! Sir … sir … temperatures have remained stubbornly warm. Its already gone up by 5C since I woke up this morning, a paltry 0.28C in the so-called global temperature above the average of once of the coldest periods since the LIA, really isn’t a problem. Thanks goodness the Sun is still working, even if only a little bit. The sun is working but the CAGW scam is still working even better. All we need now to stop it is for people to rise up but not as they are starting to do in France but in a more peaceful and effective way – STOP VOTING for the major parties and vote for others until one of the majors comes to its senses! The violent way should be avoided and it can be so simply if enough people just wake up. …if enough people just wake up. Perhaps if enough people could be persuaded to watch this (Dr Tim Ball), then some alarm bells might start to ring for the not yet fully indoctrinated climate panickers. Yes sir but the authorities are preaching hell and damnation and I was hoping you could give me a time line which is not so catastrophic. For christ’s sake give us hope. My model says we will probably have a gradual cooling from now for a couple of decades, then a bit of warming, then some cooling. At some stage in the next several hundreds or thousands of years, the Earth will drop down into another major Ice Age. Nothing to worry about in your lifetime, or probably several generations after you. Does that give you some hope? Yes thanks and I’ll put up Scafetta as a theoretical concept. OK – for Q1 – you cant reason with them. The left are sufficiently unhinged but sticking to the “trojan horse” story of climate change for as long as it takes to find and then throw any dissenters in jail under the flimsiest of pretences. The Leftists are growing weary of keeping up the CAGW charade, and you can expect to see the mask drop more and more as it becomes about the reality of thier overthrow of democracy. If the Left had its way, we’d all be in jail or been shot by now. For Q2 – they dont care. See above. I have degrees and many years professional experience in both science and engineering. Scientists take comfort in long lists of prior research which supports their position. For most academics, it doesn’t matter if they are wrong or right. There are no consequences for being wrong, particularly if they have consensus to hide behind. There are no consequences for scientists who bring money into their university. Only for those who don’t. Engineers do the exact opposite. They assume that everyone before them was incompetent, until proven otherwise. Engineers have to, because lives depend on getting it right. There are no appeals to authority or excuses when a bridge falls down, or a product fails to work properly. I think the word “incompetent” is a big over the top..
A good Engineer will look at the work of other Engineers, THEN THOUROUGHLY CHECK that work before using it. Does not imply that they think the person was incompetent or the prior work was badly done. If others had thoroughly checked the work of prior people in “climate science”, it would have died an early death, instead, they just keep building and doubling down on the errors of the prior work. “They assume that everyone before them was incompetent,” No wrong, they improve on previous designs, You as a professional engineer never accuse someone of being incompetent, even if there is evidence to support it. You just redesign it. Special cases where there is public safety involved may be different. But that is legal stuff. One assumes that there is/was incompetence and that absolutely everything must be checked. In most cases, everything is fine, as there were actual serious engineers doing it – but when your career is on the line based on your signature that states “everything is fine” and if it’s not, it’s you who are in trouble, what would you do? Exactly – check everything. Twice. Assume worst case scenarios and leave in a large margin of error, just in case. And don’t forget – an assumption is NOT an accusation. Sadly, there are incompetent engineers that are firmly on the side of the CAGW camp. As an example, let me present Dr Lachlan Blackhall of the ANU (surprise, surprise, surprise) who was the CTO of Reposit (the major peddlers of the mini-power station notion in Australia). coal is no longer fit for purpose. It is simply not the cheapest, nor the cleanest, nor the most flexible form of generation. I’m going to try and work through this to see what bizarre notions are contained within its 100 pages but a Battery of the Nation proposal (basically loads of interconnection capacity up the east coast to use Tasmania’s hydro as a massive “battery”) already leaps out. Sadly, the AEMO has many electrical engineers on its staff so how stuff like this gets published shows institutional pandering to the greenwashed. I have a sneaking suspicion about this. I’m sure that all the people at the very upper echelons of the AEMO are all of them economists etc, and people put there by either Political party which, when in power, gets to make these appointments, with people who are, umm, amenable to the party line of the people who appointed them to these really well paid positions, and will always say what they expect those politicians to hear. Your bog standard Electrical Engineers in this vast entity that is the AEMO just do their jobs, full stop, and they know implicitly that whatever they say to those at the top will have absolutely zero chance of being listened to, let alone actually implemented. so they just get on with doing their job. However, they ‘keep notes’, and when the time comes, their ‘fundaments’ will be Teflon coated. The system might crash eventually, when a politician takes it too far, even though all of these Engineers will do all they can to prevent it, and that can be seen on an almost daily basis, if you watch the data. Those engineers will then point to their notes and say the inevitable ….. “I told you so,” and it’ll be all over red rover. The bureaucrat at the top will then, umm, ‘be retired’ with their fabulous payout and pension, and it will then be the job of the politician to try and find a way to explain to the now furious masses that they were wrong all along. The fallout from that will be extensive. So many people will have so much egg on their faces, that there won’t be anywhere to hide. What I’m looking forward to is the look of utter bewilderment on their faces, blinking like a deer in the spotlight. I’m just a dumb Arts guy, but I thought our “battery of the nation” was that black, brown or yellow(cake) stuff that we dig out of the ground. At least for now. Seems to work for the multitudes we send it to. I know, but we MUST keep on saying it. Hmmmm…so they seem to now admit it is a religious war. Good. A bit of honesty at last. It seems to be a war between the Christian West and the godless occult New Age UN now….Communists are usually Godless, so no surprises there. Not entirely accurate. Communists have their system of beliefs (Communism), their priestly heirarchy (the Communist party) and their method of punishing heretics (death). Ie, it is a religion, just without gods. so the difference is a capital G? Correct. As in the God of the Bible. As opposed to the God of the Quran, or the Torah, or the uncountable Indian religions’ books? There are good, cogent arguments that the God of the Old Testament was not the same as the God of the New. Worms, a can of. The people who cling to AGW /Climate change agenda are purely cultists, or opporutists following there own agendas. These are normally power and/or money. Those who accuse others are generally guilty of the very thing they accuse others of. “The Paris-based International Energy Agency says Australia needs to ensure an “avalanche” of clean energy supply is backed up by firm generation to keep the lights on,” IEA executive director Fatih Birol told The Australian. In other words, you need to invest twice – once for the intermittent wind/solar, and second to provide reliable coal/gas/hydro. $88 billion is forecast to be spent adding power capacity in Australia until 2040. Now how can that be lower cost then only investing once in reliable generators? “The best way to reduce emissions is to put a price on carbon, but this would put Australia out of step from a political and economic context” said International Energy Agency chief Fatih Birol in Canberra. “The best way to reduce emissions is to put a price on carbon” as in France? Doesn’t Oz already lead the World, if not in the violence of its protests or in tbe responsiveness of its Governments? Why did you lie to us Juliar? Straw poll. How many of us have a generator to help cover the blackouts that the AEMO is now stating as being distinct possibilities for NSW, SA and Vic, this summer? No generator, but city house and beach house in Vic, so hopefully power will be available at one of them. If the beach house is down on the Morinington Peninsula, then it may have power available courtesy of the diesel generators being installed there. Be sure to thank Comrade Andrews if you happen to be down there during a blackout. Yep, I purchased one before last summer and have had a changeover switch wired in. Primary purpose is blackout, additional benefit is keeping a pump alive during fires. We also have a petrol waterpump. Yep two here one is 2000 watt and the other is 1300 watt , also have a 3000 watt sine wave inverter and five 110 amp gel cell batteries . If needed I have a 44 gallon drum I can fill up with fuel and have a hand pump , power outs here effect everything as we are out in the sticks . I do, but it is not wired in. I use it to keep my fridge, heating if needed, and my internet connected. It’s a non-trivial purchase which I would not have countenanced until Victoria’s electorate granted Labor open slather at last month’s election so today I checked out a 6 KVA diesel unit at a nearby machinery supplier. Now I’m tossing up as to whether I will be buying a White Elephant to place beside the house or will minister d’Ambrosio actually unleash a plague of regular extended duration blackouts upon us which justifies such a purchase? The twenty-first century is now developed enough that it can be determined very clearly to be a Retrograde Era, a time to be endured by a new class of Stoics able to survive through the strident idiotic babble which has drowned out all rationality. I have all my gear because of camping etc but if I wasn’t into going bush I would still have bought a generator as a backup for when the power goes out (not if) . Having access to water is vital during a fire or high fire danger days so on these days I setup generators and pumps ,test run and prime the pumps just to be sure . I don’t trust the electricity to stay on . A 6kVA diesel unit would be going overboard IMO. I ran my entire household for 9 hours with a 2kW generator which cost me under $900 during a scheduled power outage this week. Granted, I didn’t run our oven, air conditioners or espresso machine during this period but the fridge and freezer, internet and even the pool pump (which I forgot to disconnect) ran just fine. I was intending to find how long the 5 litre tank would run for but as it turns out, it was still running when I got home. Pht, another Fire and Brimstone sermon from yet another Lay Preacher. interesting the Krugman gets paid for his opinion whereas nobody wants to even hear my mine. also interesting that my function in the labour force for 20 yrs has been either engineering in the Solar field or energy abatement and efficiency in multi-storey buildings. So, I dont believe it, yet I do it anyway. Krugman believes but won’t do a damned thing except pant more CO2. I have skin in the game. He has a pulpit. Incidentally I had a discussion with a mate who is a journalist the other day. The gist of it was why my kids reckon Im a toxic white male, bigotted, sexist, climate denier. In one of those Queensland bursts of publicity on “clearing football fields per minute” I got an email from Son No 2 with a link to such a video. omg, you may have poisoned the poor lad’s mind … or worse yet, he can possibly even think for himself. by god I’d be proud if my boy did that. “he can possibly even think for himself” – all three can do that very well. We raised them to think and question. There was a TV and a video but no antenna. In answer to the question of “How did they get on” – three readers out of three. “Well Dad tomorrow you should bog it again and when you get it out that will be three and you’ll be right too”. All three make us very proud with what they’ve done and are doing. And they don’t skite about it. Congrats, I have 3 sons now above 21yo and functioning, paid regularly (by someone else) and mostly able to think for themselves. If us old people have anything to be proud of these things should be rated pretty high up. the gods are angry indeed !!! A nice quote from him “Denying climate change, no matter what the evidence, has become a core Republican principle.” He got that right. But then he comes up with this one “Opposing action for those reasons is a sin.” He doesn’t know what a sin is. A sin is disobedience to God. Nothing less, nothing more. Just looking at such disturbing pictures could lead the most innocent into grave crimethink. Krugman possesses a unique talent, possibly shared only with Joy Behar, in that whenever he speaks or writes, he subtracts from the sum total of human knowledge. You’ve probably seen that sequence that goes something like “act, assess, review, react”? I saw a co-worker using it one day and pointed out that I had been introduced to it in the form of the thread on a bolt – on the principle that you were supposed to have achieved something from “act” to “act” and the distance vs the cost measured the efficiency. His answer was that he “wasn’t into spirals”. I found a digitised one and produced it in spiral form. This was in a time of departmental chaotic reorganisation and fiend also realised that spirals could have a left hand thread. Which resulted in a series of how to lose corporate knowledge – shown with discression. The sin is in denying access to the truth that will set us free. In 2008 Macquaire University employed Murray Salby as Professor of Climate Risk with the stated goal of making their program internationally recognized. In 2011 he produced several independent analyses using first principles that showed the consensus climate scientists were erroneously blaming human CO2 emissions for the mostly natural increase of atmospheric CO2 content. Macquarie saw this as a threat to their funding, obstructed his work, reassigned him to non-climate classes, canceled his return flight from Europe and initiated employment hearings in his absence and confiscated all his personal records and data. Eventually they fired him. (https://mlsxmq.wixsite.com/salby-macquarie/page-1f ). What does this have to do with you?Ask yourself “Why did these folks try to hide this information?” Shouldn’t the response have better been “Halleluiah now we know we are not causing global warming we can focus on other important problems and we don’t have to destroy economies and force millions into energy poverty.” ? The censoring, bullying, and deception are, in my opinion, clear signs of an ideological movement with no real defense against the allegations. Sadly, my mind just shrugs. Seriously, how long have we been seeing this? Michael Chrichton was correct when he compared this collective madness to the lunacy that was the embracing, often by high profile, self important people such as actors, of the “science” of Eugenics. Hopefully we won’t need another “holocaust” to wake people up, but I’m not sanguine. Why on earth is my comment in moderation? I used two words; H0l0caust, and yougenics. was that it? The auto-mod can be very sensitive about these things. I think its a bit PC/SJW oriented. Just above the “Statistics” label on the right-side frame is an email address. Copy the time stamp of your post and email asking politely for it to be released. Ahh, thanks, never noticed that. yep . . . . mine was boggling along even before to DMA’s post and now it’s gone full on boggle . . . . Boy, talk about giving someone enough rope to hang themselves. Climate alarmism is being described more in religious terms than ever before. Krugman’s arguments indicates he’s up to his arm pits in this quagmire. How extensive are the regressive taxes justified by this alarmism and does that bother this zealot in any way because it sure does bother the people forced to pay tribute to it. The biggest error true believers in climate alarmism have made was to hang onto the “no debate” strategy past about 2010 when the Democrats lost their majority in the US House of Representative shortly after the passage of the Waxman-Markey bill. Doubling down on “no debate” has seen serious erosion of support for climate mitigation strategies, particularly as the costs start showing up in people’s fuel and energy bills. Rather than try to honestly understand people who don’t subscribe to costly but ineffective mitigation strategies, he makes no argument just shrill personal attacks against anyone who won’t agree with him. All I can say is, please don’t tell him to stop or calm down. He’s likely become an extraordinary advocate for people who are skeptics of climate change. No one like to follow a thought leader whose gone off the deep end. As all three come apart at the seams. He said they were “absolutely” a result of climate change. The beauty of the modern world of independent learning is you no longer need to listen to the ABC, for any reason whatsoever. Or to get a weather forecast from BOM (especially cyclone forecasts). Or to listen to the warped rantings of self-appointed experts from universities (who are all 3-months away from being smelly unemployable bums sleeping rough). Or to the perverse NGOs who work for assorted socialist/communist creeps. Or to the disgusting creeps at the UN, who always want us to eat crickets or grubs for some reason. Or to the nonsense that continually spews from perpetually anti-capitalist media-big-mouth ‘Economists’, who like to pretend to be ‘scientists’, and to speak for science, and martyr themselves in its sacred defence. Freedom from mainstream liars has arrived at the station, and it isn’t going away because the dominant liars to our society don’t like it when we won’t listen to them any longer. theguardian Admitting winter kills people..oh my I though hotter summers did that. So you are against the just published National Climate Assessment and your attacks are on the man and not the message. I suppose your best bile will be also directed at David Attenborough now that he is forecasting the collapse of civilisation. I you have any references that are of the same caliber as the Climate Assessment, please post the links. Same caliber as the Climate assessment?? I doubt anyone here would stoop so low. Drink the AGW BS from people like Attenborough without a rational thought in your head. Do you REALLY “believe” everything he said, GULLIBLE !!! You really need to learn to recognise blatant propaganda when its shoved in your face. Do you have ANY REFERENCES AT ALL !!! Anyone with a functional mind MUST realise it is a load of over-the-top propaganda LIES, MISTRUTHS and is just a BRAIN-HOSED FANTASY, no science in it at all, just empty rhetoric. They pretend to tell us the news, and we pretend to believe them……. I’d just like to register my willingness to attack both man and message. We should not overlook the creepiness of the personalities of Big Green and just dwell on the globalist creepiness of their sinister eugenicist message. And a special mention for that test-pattern on legs, David Attenborough. @P Fitroy, Attenborough is either using or being used as a mouthpiece for the ‘agenda’ as he is internationally known for his documentary work on the natural world. Therefore he ‘must be right’ if he says so its TRUE!!! The calamity he talks about is TOTAL science bovine excreta!! PERIOD. He should stick to nature docos, because he hasn’t a clue about REAL science. NO Fitzroy! It’s because your G-damn made up “message” is making real people go BROKE. Real people die a COLD DEATH! YOU Fitzroy, have NO workable solution to the effects of your made up science and you insist that me and others pay UNFAIR taxes, unreal costs to STAY WARM. It’s MY RIGHT to live my life at about 98.6F and you Fitzroy are going to cause wars if you force me and others to go broke and live or die cold. Look at what is happening today in France! UK is possibly right behind with pensioners because they have no furniture left to burn up. You and your comments make you complicit in a farce that will cause people to die. Take that to the bank Fitzroy. Krugman is an extremist fool who attributes all the world’s ills to the political right wing. Just five days after 9/11 terrorist attacks, Krugman argued in his column that calamity was “partly self-inflicted” due to transfer of responsibility for airport security from government to airlines. I am staggered by the fact that Paul Krugman has a job. On election night he pontificated loud and far that the DJIA would crash under Trump. Despite the market gymnastics of the last two weeks, the DJIA is way in excess of the level it was when Trump took the reins. If only that swamp was not so murky AND extensive. I saw the Krugman crap in the Age. Why in the name of hell is the Age publishing such stuff ? And it was publshied in the US. It is a disgrace to real journalism. Anyone disagreeing with him is evil ? No he is evil for writing such crap. The Age is complicit for reprinting such crap. Most ‘rags’ these days like the SMH and the Age and others are full of ‘cut and paste’ journos, no research needed , just basic education so you can drive word and a spell checker, then past articles from elsewhere, usually agendas pre-prepared. The Oz is now another, it seems. 4 Dec: Carbon Brief: Analysis: Which countries have sent the most delegates to COP24? I think its writing on the wall that many countries either dont believe or dont care OR dont want their economies destroyed by total insanity as being forced into using energy ‘un-renewables’. How is the funding for this organised? Authorised? Hidden? A guy called “Grant Funding” brokers all the funding from environmentally conscientious banks making sure the best interest rates are obtained. Is he a post-modern descendant of “Bill Posters”? …hmmm….around the time when voodoo dolls were first utilized..
Paul Krugman resembles a Voodoo doll. But whoa there!!!! We should not be commenting on appearances. *Voodoo Doll, Grant, and Bill were very similar. Have you guys forgotten about the true powerhouse behind all this? And Dr Car Bon , that guy with the outrageous french accent. The government has imposed a two-year “safeguard duty” on solar panel imports, in an effort to boost local production. But this means potential producers would again face competition from low-cost imports after just two years — making it unlikely to jump-start domestic solar panel manufacturing, warns Ankur Agarwal of India Ratings & Research, a credit-rating agency. Its a travesty (to the klimatraiate) that the climate ‘truthers’ might be right and possibly win (we all hope). So the tactic is to try to stick pins in us, hoping we will be denigrated like war criminals. Not to worry forces well beyond human control will show the truth. Straight out of the gate, however, the opening plenary was delayed on Sunday in part because of a request from Turkey to downgrade its status to that of “developing country” — a move intended to soften Turkey’s responsibilities. Developed countries — those listed in the Convention as Annex I countries — are expected to contribute more to climate financing and emission reductions than developing nations. The COP presidency agreed to schedule consultations on Turkey’s proposal. According to the World Energy Council, Poland consumes 77 million tonnes of coal per year, making it the tenth-largest coal consumer in the world and the second-largest in the EU, after Germany, securing 92% of its electricity and 89% of its heat from coal. TWEET: ***Pascoe Sabido: So Polish exhibition stand is literally made of coal. Points for authenticity. “We’re on a fast road to suffering unless we act now. People are already dying from the impacts of climate change,” added Greenpeace’s head of delegation at COP24 Jens Mattias Clausen. ***Pascoe Sabido – whose tweet is in the Clean Technica piece – has a good Twitter feed to follow. he is hunting down fossil fuellers at COP24. 3 Dec: The Heartland Institute, which includes some of the most strident #climatechange deniers, and which has been funded by Exxon Mobil and the Koch brothers, is holding a 4-hr webinar tomorrow near the @COP24 to present its findings on global warming. 14h ago: Wow. The Austrian Chamber of Commerce is already serving wine and its not even midday! 3 Dec: PIC: You couldn’t make this stuff up… #coal soap. How to make coal clean. Or not. PIC: SPOTTED: The International Emissions Trading Association business hub @ #COP24. A lounge area PLUS conference rooms! 2 Dec: PIC: FOUND IT! After a day searching high and low, I’ve found the the other list of #COP24 sponsors (this time called ‘partners’). Gowaaaad do I Have to say how MUCH I HATE despise THE DUMBASS Krugman? Never been Right. check, chad, check again. Yes I think Australia should avoid all things Krugmon ALL! THINGS PAUL KRUGMAN! PS Caps brought to you by my pal Andy. On the heels of the French government’s abrupt reversal on fuel taxes Tuesday, (popular climate change activist and Macron’s former environment minister Nicholas) Hulot praised what he couched as a necessary political maneuver, albeit one that was not good for the environment. The key, said Hulot, is not to impose action on climate change in a technocratic way, in a way that ordinary people do not understand. “The ecological challenge shouldn’t be against the French,” he said. Policy experts say they are drips under pressure. Except that these days they are no longer an unknown quantity. The French government are just silly levelling a tax on fuel. They need to take a leaf out of Australia’s song book. No tax, rather a government sanctioned massive scam of taking money from the financially disadvantaged and handing it over to those with financial resources. My suggestion is to create CFTCs (Carbon Free Transport Certificate) that petrol retailers need to buy in proportion to the petrol they sell. Each CFTC is the equivalent of 1 tonne of unburned carbon and initially priced to transfer 10% of all petrol and diesel sales to buyers of electric cars but gradually increasing by 1% per year to reach 20% by 2030. Like Australia’s RET it could be wrapped up as an effective way to reduce carbon although it won’t of course. The benefit to the purchaser of the electric car would be to roughly cut the cost by 40%. So you get the influential cashed up group in society, taking government sanctioned payments from those without resources, to benefit from the scheme. Government orchestrated transfer (theft) from poor to wealthy is far more palatable than levelling a broad based tax on fuel that goes to government. Solar panels are being nailed to rooftops, colossal wind turbines bestride the plains and oceans, and a million electric vehicles are on U.S. roads — and it isn’t enough. Even if the world did an unlikely series of about-faces — halting deforestation, going vegetarian, paying $50 a ton carbon taxes, boosting energy efficiency, doubling car mileage, and more — it would not be enough. Nordhaus advocates a whopping carbon tax, which the Climate Interactive model shows would kill off most coal, sharply reduce driving and boost purchases of more fuel efficient vehicles. The math on coal is just as grim. Global coal consumption is running at more than 5 billion tons annually. In the United States alone, coal fills 4.4 million rail cars every year. Closing down U.S. and European coal-fired power plants, which are 40 years old on average, could happen, but the average age of coal plants in Asia is just 11 years. In November, Vestas, the world’s largest maker of wind turbines, and MHI, a unit of Mitsubishi, announced it would provide 23 of its new biggest turbines to a project in the Belgian North Sea. The massive turbines can power 137,471 German homes, the company said. Just as well there’s no problem anyway. time to start all over again! As the clock ticks and the risks grow, it is time to try a different tack. It’s amazing that they can speak such truth! ” The situation is serious and getting worse. ” True. We are getting too many people indoctrinated in this global warming garbage, and/or profiteering from it. We mustn’t gloat about the public uprising in Paris. Some of it has involved setting fire to buildings. And there are some pretty unpleasant types among the demonstrators. Macron, a former banker, had set out to persuade the British financial sector to move en masse from London to Paris, partly on the argument that the French capital would be a much more congenial place to live, after the City of London had been cut out of the regulatory embrace and privileges of the European single market. This is chiefly the result of Macron scrapping France’s wealth tax on all items apart from property assets and abolishing the top marginal band of payroll tax. The editor of the French financial daily, Les Echos, observed that ‘Macron has effectively halved the tax paid by the very wealthy’ and had been ‘doing a belly dance to attract wealthy Londoners to Paris’. Macron has made himself the hero of the international green lobby by denouncing President Trump’s abrogation of the Paris Accord on climate change (declaring ‘We have no Planet B’) and by introducing swingeing increases in fuel taxes. The point is, however, that, especially in rural France, for which the president has such apparent contempt, the EU is not at all popular, and Frexit would have mass support. Government leadership is crucial. But companies must accelerate investment in green solutions. The 24th annual United Nations Climate Change conference begins Monday in Katowice, Poland. We have a formidable task before us. New data show that climate change may be even worse than we thought when the Paris Climate Agreement was ratified three years ago. Our objective is to cut greenhouse-gas emissions by 45% by 2030 and down to zero by 2050. The world only has a few years to change course. The planet is on track to heat up 1.5 degrees Celsius by 2050. This could raise sea levels by more than a meter and — coupled with increased coral bleaching events — render some islands unlivable. Extreme droughts, floods, wildfires and famine will occur with increasing frequency across the globe, threatening population centers like San Francisco, Bombay, Ho Chi Minh City and Abidjan. Climate change could also cause the migration of more than 140 million people worldwide. In September, U.N. Secretary-General António Guterres gave our two countries a mandate to accelerate “climate finance” — investments that will promote green energy, mitigate the impact of climate change, and help the most vulnerable countries adapt. Our aim is to mobilize public and private actors to provide additional funding and develop solutions to the climate crisis. While government leadership on climate is essential, 70% of world economic activity is in the private sector. Humanity’s ability to correct course depends on how quickly companies adapt. The ones that will thrive in the long run are those that innovate green solutions and create jobs for a low-carbon future. The One Planet Summit initiative, launched December 2017 in Paris, shows how a coalition of state and nonstate actors can build more-resilient societies. An example of its success: the Caribbean Climate Smart Accelerator, which has gathered 27 countries and 40 global companies to help fund renewable energy projects in the Caribbean. In July, the One Planet Sovereign Wealth Fund Initiative also made significant progress. Six of the world’s largest asset owners, representing more than 3% of financial markets, published a set of principles they are using to factor climate issues into their investment decisions. This has increased demand for a commercial response to climate change across the investment chain. The private sector must be prepared to get in the front seat with world governments to avert a climate crash. In September 2019, major government and corporate leaders will convene for another U.N.-sponsored climate conference in New York. Let’s seize this opportunity to help land planet Earth safely. WOW, the stupid it BURNS. Bleaching comes from over-exposure to sunlight. Raised sea level will REDUCE that. Logic has no traction in the realm inhabited by wishful thinkers and if you keep this up they’ll mark you down for shipping off to a re-education facility for smartarses. Just in case anyone was in any doubt about the bias in some of this country’s newspapers, this reply to an email to the Letters department of the Sydney Morning Herald questioning why all their printed Letters to the Editor were supportive of the warmist ideal, never any from an opposing standpoint. “The Herald does not support the views of climate change denialists, because most of the world’s scientists support the evidence that shows climate change is real. 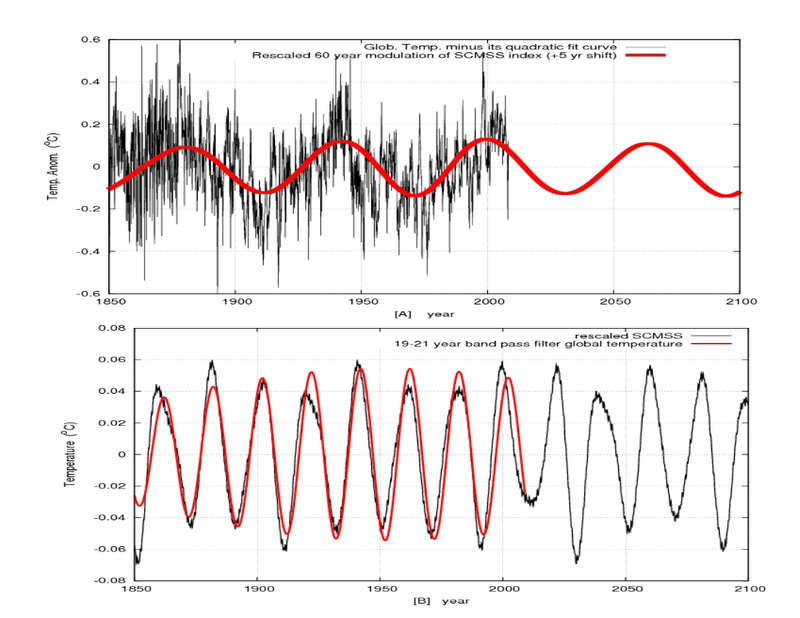 How stupid, climate always changes, its human caused ‘globull warmung’ that is total BS. So that statement is meaningless. With the like of the banned from this site D*** Co***n it is perfectly understandable. Imagine the quality of the “debate” if his or AndyG’s comments were published unfettered. Basically you’ve soiled your own reputation by tolerating nonsense and abuse just because the abuser is on your “side”. Great team mates. “There isn’t a gathering place where people have a drink after work,” Albanese says. “They can get pretty isolated in these corridors. Gee a clone or the real thing ? Going by your scribble making no sense I’m thinking the former but the question remains why have two personalities? Ahh Gee and then it strikes me that you haven’t been taking your meds have you ? Robert. Whenever you write, “making no sense”. I know you mean, “it’s too complicated”. Still dreaming of me , hey phlip. So funny, your poor attention-seeking little child. Good timing Phil, you must be intuitive. Flip you need to get over your Andy obsession , maybe just tell him how exactly Co2 is warming the earth ,that will fix him ! I had a look at the conference in 1884 and it was pretty ordinary, and I fail to see what time has to do with global warming. Whereas the origin of language is definitely a climate change story. My guess is that it first developed through sing songs, what do you reckon? Its all too complicated for you, that is for certain, little GeeUp ! I have never been rude to anyone that doesn’t deserve it..
You come here purely to troll and make mindless comments, but can’t take it when someone gives a bit back and draws attention to your waste-of-space. So hilariously pathetic. Your reputation was already mud, you have just made it worse. The AGW agenda that you and your fellow trolls are an apologists for, threatens to bring down society as we know it, and you expect people to be polite ??? Really !! See..the countdown didn’t even get properly past 3. I think it’s high time we ignore the rantings of the brainwashed believers unless of course they want to cough up some evidence to back up their claims . Of course that’s not going to happen because faith needs no proof . Sweet dreams… OF ME, you poor little child.. So much for “Independent Always”. Or is it only the Guardian on the Yarra that espouses that? That ‘indictment’ ( I’m sure they’d object ) should be shouted from the rooftops. Or just garden-variety chronic relevance-deprivation disorder? Snow Doesn’t Lie – But Climate Scientists Do. But there are almost no good-faith climate-change deniersalarmists. Krugman is a small minded idiot, that follows the Malthusian humans must be eliminated to ‘save’ the planet mantra. You know they are out of intellectual arguments when they cave in like this and refuse to engage. Krugman’s empty head is exposed for the world to see. The intellectual emperor has no ideas. A government credit agency tasked with bolstering the UK’s export opportunities is to be investigated by parliament over its ongoing support of fossil fuel projects. UKEF has made a number of controversial investments in recent years. A joint investigation by Greenpeace’s investigation unit Unearthed and Private Eye found that UKEF had provided fossil fuel companies with £4.8 billion in financial support between 2010 and 2017. The research into the future of the offshore oil and gas sector argues the UK’s “comparative advantage in offshore technology” should help form part of a long-term energy strategy, along with carbon capture projects and a focus on hydrogen power. A combination of reduced energy demand and the changing energy sources mean the UK has already met its carbon emission reduction target for 2020, according to the report. Ahead of the speech, Mr Webster said: “This report demonstrates industry’s key role in the energy transition and reinforces that Vision 2035, industry’s ambition to add a generation of production to the UK North Sea and double the export opportunity for the supply chain, is critical in achieving the balance between delivering our climate change targets and ensuring security of energy supply. “As the report shows, despite the rapid advances in lower carbon technologies there is ongoing demand for oil and gas in several key areas including transport and domestic heating. “A total of 80% of the UK’s 27 million homes are heated by gas, demonstrating the long-term importance of our industry in ensuring security of energy supply. Welcoming the findings of the report, Energy Minister Paul Wheelhouse said: “Despite the rapid growth of renewable energy, hydrocarbons still provide for around three quarters of Scotland’s primary energy needs. This means the oil and gas sector remains a key component of the Scottish energy system and economy. ‘Making North Sea oil last additional generation’ Oil wont run out, thats a myth (peak oil) which is conveniently pushed to fix the price. Leaders from 45 countries gathered at a UN climate change conference have adopted a Polish-drafted declaration to protect the climate while ensuring economic growth and maintaining jobs, a news agency reported. The “Solidarity and Just Transition Silesia Declaration” was adopted by acclamation after thousands of decision makers from around the world flocked to the southern Polish city of Katowice to discuss ways of tackling global warming and climate change at the United Nations’ COP24 conference, Poland’s PAP news agency reported on Tuesday. The declaration, drafted by Poland’s government and signed by its President Andrzej Duda, aims to ensure a fair transformation based on solidarity amid efforts to protect the climate while maintaining economic development and jobs, according to PAP. The declaration stresses “the social aspect of the transition towards a low-carbon economy,” defining it as “crucial for gaining social approval for the changes taking place,” according to the cop24.gov.pl website. From James Delingpole on the love in of Climate Change players at Katowice, Poland, there are 22,771 of them! The news is that China is sending minor players,effectively withdrawing. The numbers of people attending are simply astounding. So how many of the NGOs are skeptical? Where are the skeptics? Especially those funded by Big Oil, Big Coal, Big Gas? How many of the 6,046 NGOs earn their living from Climate Change? What in fact is the point of flying so many thousands of people in for this event? Now China is out. The biggest coal producer and consumer in the world, more CO2 than the US and Europe together. Where is the communique about how 30 years of this and over 350,000 giant windmills have reduced the world’s CO2. How have the meetings in Rio, Durban, Paris, Copenhagen,… changed the levels of CO2? And then most importantly, who is paying for 22,771 people to attend? Why? 13898 + 6046 + 1541 = 21485. What are the other 1286 that make up the difference to your 22,771? Sorry, TdeF, I’ve now looked at your attached article and see the whole list of participants. Krugman and his ilk are making toothless attacks like this in big-fake news-media because they’ve already lost. It’s just an act of desperation at this point, they think maybe an old fashioned 1980-90s talking-head approach might make a dent on the public. They’ll keep mouthing talking-points (“… stay on target! …”) from the audio-vis hook-ups, but their target audience both doesn’t care and doesn’t believe any part of their proxy-religion and hysteria (they’re too busy trying to stay warm). The majority of the public think it’s nothing and that majority is increasing, so no traction. And fake-media hysterics about every weather event simply isn’t working for them. Again, no traction. They’re just amping fear-freak-out language in ‘major reports’, while preaching to the converted in the pews. But still shrinking, because normal-people already changed the channel to watch the movie at 11, or surfed to the ‘Ken-and-Barbie’ gossip page, or clicked on the commercial with the gratuitous shot of girl in a one size too-small blue bikini who is spruiking a dating site. OT but related , the ABC proudly announce the end of Donald Trumps presidency. There is always hope watermelons there is always hope . theirABC, who are also funded by the millions of Australian taxpayers who do not vote Labor or Greens, announce his demise almost daily. Twitter: Micheline Maynard: Journalist, author, professor. Find me @forbes @abcaustralia @medium and elsewhere. Occasional royal commentator. Loves history. Proud alum @nytimes @npr. ABC: Micheline Maynard: She lectures at the University of Michigan. how come this tripe is put out by theirABC constantly and no-one puts a stop to it? the US is a top ally of Australia’s, so it is truly shocking it’s allowed to continue more than 2 years after the election. The documents filed in court Tuesday make a passing reference to the Logan Act, which prohibits private citizens from interfering in diplomatic disputes with foreign governments. But no one has ever been convicted under the act, passed in 1799. Lawyers, judges, and constitutional scholars regard the law as unconstitutional. Giuliani was right. But, of course, that won’t stop the anti-Trump media frenzy of demonizing President Trump on a daily basis and trying to convince the American people – without evidence – that he is an illegitimate president put into the Oval Office by Russia. Yes they will keep up the two year (so far) dummy spit as long as they can , Trump was elected by the Deplorables not the Russians . Going to be hilarious when he gets elected for a second term I think . •Senior GOP lawmakers say that the politically fraught road to then-nominee Kavanaugh’s confirmation galvanized Republicans to show up at the polls for the midterm elections. •Multiple Democratic senators in purple or red states who voted against confirming Kavanaugh to the Supreme Court lost their seats Tuesday night. There was once a description, despicable in my view, of John Howard. It had to do with lavatories and the flushing of them. It’s only a matter of time before it gets trotted out against Trump. JWH stared it down. So will The Don. ***ABC reluctant to call it student climate strike! In a series of media events today, Mr Pesutto said the party needed to make its language, policies and culture “more inclusive” so that socially progressive but economically conservative voters would feel welcome after the “rebuild”. “I’m concerned that there are conservative people, conservative-leaning people, and even moderate-leaning people who just want our party to do something on that front. He said the party needed to resolve tensions between its moderate and right-wing factions and put forward compelling policies on climate and energy. He also revealed that his 17-year-old daughter attended last week’s student-led rallies for action on climate change. Who cares what Krugman thinks? He is neither a climate scientist nor a moral philosopher. He is an economist. Why does he think he is qualified to judge either the science of why people are sceptical of that science in a way that is authorative? Krugman is not an economists armhole. Nor is he a human being’s armhole. 4 Dec: France24 The Observers: Analysis of a rumour: Did undercover police try to discredit the ‘Yellow Vests’? Yellow vests and Macron’s back flip = Paris rejecting Paris. So what’s stopping Oz? What’s stopping OZ ? , Morrison. We simply dont have the courage of the cheese eating surrender monkeys. So what does that make us? People who waste time watching yellow animations on TV? I’m serious, BTW. “Multiculturalism” has eroded ours until it hardly exists. The French, however, have always stood up for France, something Macron appears to have overlooked. Therese May might soon find that ‘her’ people have a similar spirit. As for Australia, where’s Nino Culotta when we need him? French pollies are quickly reminded when their delusions step out of line and begin affecting their peuple, while Oz pollies are afraid of upsetting their delusional voters? CEDAR RAPIDS, Iowa — Former New York Mayor Michael Bloomberg said in Iowa on Tuesday that he would do everything he can to make climate change the defining issue of the 2020 Democratic presidential nominating campaign, despite resistance in regions of the country that his party would likely need to recapture the White House. Michael Bloomberg traveled to Iowa on Tuesday for a screening and panel discussion of his new climate change documentary “Paris to Pittsburgh,” fueling rumors that the billionaire business mogul is eyeing a challenge to President Trump in 2020. PIC: Michael R. Bloomberg, center, viewed solar panels at an electric company in Cedar Rapids, Iowa, on Tuesday. “I’ve been very active in closing coal-fired power plants,” Mr. Bloomberg boasted when asked whether a candidate whose top concern is climate change could appeal to voters in the regions like eastern Ohio who helped put President Trump in the White House. While praising Iowa’s corn-based ethanol as an intermediary fuel needed in the short run, Mr. Bloomberg said it was well past time to cut coal entirely from the energy picture. “One thing that shouldn’t be part of the mix at all now is coal,” he said. While touring a company that installs solar panels in Cedar Rapids, Mr. Bloomberg, 76, attacked President Trump’s rejection of his administration’s own report about the dire economic costs from climate change. ***Before he spoke at the screening (of a climate change movie he bankrolled, “Paris to Pittsburgh”) Mr. Bloomberg was interrupted by a dozen or so protesters from the Democratic Socialists of America, who accused him of being “Donald Trump lite” and insufficiently green because he supports fracking as a transitional option on the road to clean energy. KATOWICE, Poland — France’s sudden U-turn over an unpopular fuel tax in the face of violent anti-government protests sent shivers through the COP24 climate summit. International Energy Agency said on Tuesday that carbon dioxide emissions are set to rise in 2018 for the first time in five years. Coal “will not disappear. We have to remember about the economic and social costs for the economy,” said Polish Prime Minister Mateusz Morawiecki. ***Climate advocates argue that politicians have to steel themselves and push through such measures even if they create short-term unemployment and unrest because the alternative is even grimmer. “At the end of the day the reason we need to take action is because the social and economic costs of climate impacts are far worse,” said Camilla Born of E3G, an NGO. During a briefing at the Group of 20 summit in Buenos Aires, Argentina, this past weekend, a senior Trump administration official told reporters that the last issue to close at the meeting was a climate provision. That is because a few countries were “second-guessing” the language around climate change, the official said. France and China insisted on including the language, though the Trump administration suggested that Paris was a sticking point for other countries behind closed doors. After reporters pressed the White House on what that might mean for the Paris Agreement, the Trump administration official suggested that it was because those countries were waffling on whether or not they would stay committed to the agreement. The UN calls for carbon taxes to be twice as high as those that sparked riots across France. The UN’s special climate report released in October found a carbon tax would need to be as high as $5,500 per ton by 2030 to limit future warming — that’s equivalent to a $49 per gallon gas tax. A carbon tax would need to rise to as high as $27,000 per ton by end of the century to meet the 1.5-degree goal. That’s the same as a $240 per gallon tax on gasoline in the year 2100. If the French rose up against a carbon tax that’s a fraction of what the UN calls for to meet its 1.5-degree goal, it’s unlikely any government would ever enact a tax that high. What a wonderful irony that, as the world’s great and good gathered in Poland on Monday to discuss climate change, the city where they met for the same purpose just three years ago was aflame – set alight by protesters aggrieved by President Macron’s efforts to meet his carbon-reduction targets. A draft carried into this conference was a mess of unresolved options. A new version began being released in segments (LINK) overnight on Tuesday and negotiators were nervously awaiting the full drop. That’s Krugman all the way. If I didn’t already know better than to pay attention to him this would certainly turn me away from him. How can one man who calls himself an economist be so wrong so much of the time? I’m a better economist than Krugman. The rabbits running around the neighborhood in the middle of the night are better economists than krugman. Heard the defeated former Liberal member for Hawthorn in Victoria, John Pesutto being interviewed about listening to the voters. Hawthorn has been a Liberal seat almost for ever, but this time he got 46%, Labor 38%, and the Greens 16% with almost all Green preferences going to Labor. He said that his 17 year old daughter had joined the student climate change protest. Brainwashed by his own brainwashed child. When will they ever learn? Climate change belief is rooted in greed, opportunism and ego.